Who Should Think of Becoming a Court Reporter? What Happens When You Qualify as a Court Reporter? At first glance, they may not look as important as judges, jury members, attorneys and witnesses, but the court reporters are every bit as integral to the legal system as judges, juries, attorneys and witnesses. The importance of the court reporter can be gauged from this fact that in most cases it is illegal to proceed in court without a court reporter present. If court reporting is something that interests you and you would like to know more about this career, then continue reading. Generally speaking, court reporters create word-for-word transcriptions at trials and other legal proceedings like depositions. In addition to providing services in courtrooms, court reporters may also provide captioning for TV and real time translation for hearing-impaired individuals in classrooms, business meetings and other public events. If you are thinking of pursuing a career in this field then this information will interest you. The following statistics are taken from the US Bureau of Labor Statistics (BLS), and represent median annual wages as of May 2017. Your interest in court reporting aside, you should be mindful of the fact that this field is not growing as fast as other fields. The following statistics are again taken from the BLS and should give you a clearer picture. These statistics are predictive of the period 2016 to 2026. What does this mean? In layman terms, there will be 700 new jobs created in this field from 2016 to 2026. Finish your high school and enroll in your local community college’s postsecondary certificate program for court reporters or an associate degree in court reporting. Certificate programs may be offered at your local technical institutes as well. Complete your chosen course of study and get licensed or certified by a professional association. Associate of Applied Science degree in Court Reporting – This is an undergraduate degree, which takes approximately 2 years to complete. You will need to earn a certain number of credit hours to complete this degree. An integral part of this degree is to teach students how to prepare transcripts with the help of different transcription machines. Students are encouraged to improve their speed and accuracy. Court reporters licensing requirements vary by state but most states require court reporters (especially those who work in legal settings) to be licensed or certified by a professional body. The National Court Reporters Association (NCRA) offers a variety of certifications for court reporters, real-time translation providers and broadcast captioners. You should be able to concentrate for long periods, if you want to have a successful career as a court reporter. At all times, court reporters must be focused on the dialogue they are recording, even if there are auditory distractions. Court reporters must have a strong command of English grammar, punctuation and vocabulary. 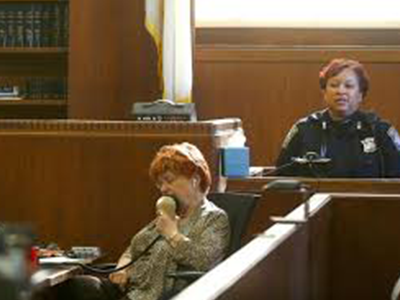 Court reporters must capture every word said by the speakers and therefore must have exceptional listening skills. A court reporter’s work must be error-free since transcriptions prepared by them serve as legal records. Now that you are either licensed or certified as a court reporter and looking for work, here are the top 5 states that employ court reporters in a descending order. Ideally, you should read this information before qualifying as a court reporter since licensing requirements may vary from state to state. If you have qualified as a court reporter and don’t have a location preference then concentrate on looking for jobs in Texas or New York. These states not only pay more but also hire a large number of court reporters. So your chances of finding a job in these two states are higher than finding a court reporting job anywhere else.